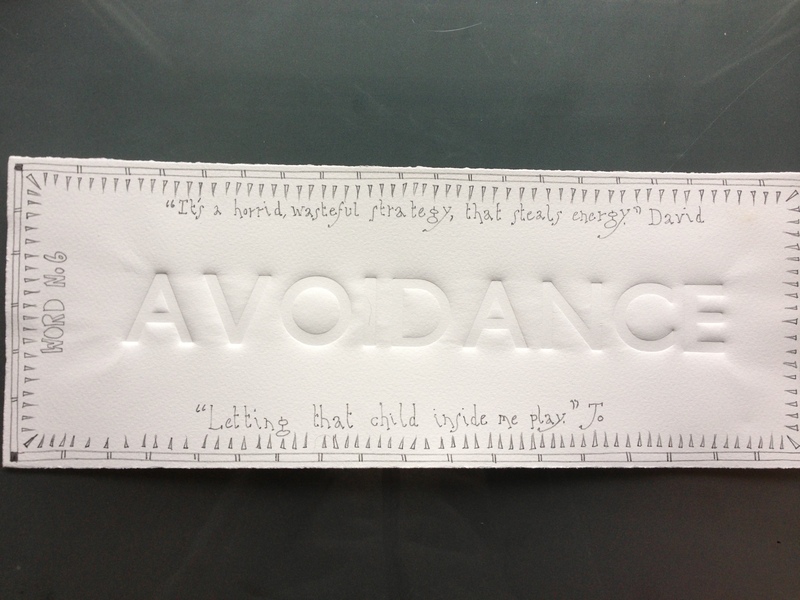 David: Today’s word is Avoidance I feel so battered by so many problems at the moment today was spent avoiding things I should be doing. The Black Dog can make even the simplest things seem impossible. Logically you know that avoidance is a horrid, wasteful strategy that steals energy and gives nothing, yet sometimes you are so bruised by life, logic gets lost as a language you can listen to. Although it is a horrid word, a scarlet letter shame word, it is at least honest. Once you admit you have spent the day in avoidance, you have named the weakness and feel at least that some control over it is possible. Jo: The Black Dog is something that I to have had dealings with; but on a positive note the mention of it always takes me back to my home town of Bungay in north Suffolk. It is the most famous event of the town, with the apparition of the devil in the disguise of a black dog outside St Mary’s church in 1577. I used to be a choirgirl in that church, and I vividly remember running home through the churchyard after evensong in the twilight! Fascinating how clear that all comes back to me all these years later. Memories of a childhood unfettered by all the problems that beset us all in later life. It is only now that I’m coming to accept that for me life is a constant battle of keeping my emotions reined in, and letting that child inside me continue to play.